I am a big fan of Gordan Ponak. He is musician who got something in his heart and decided to run with it. 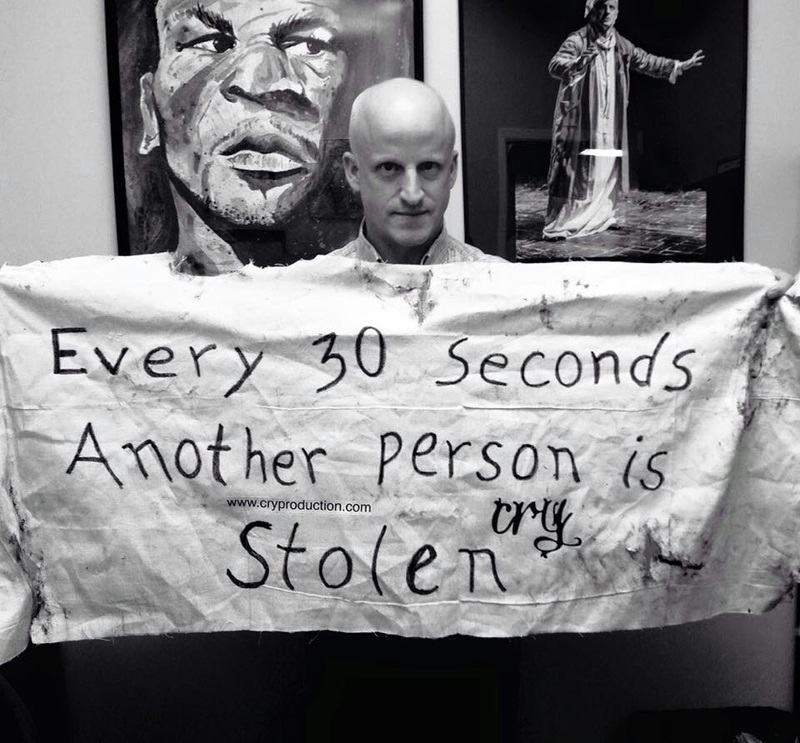 At some event he attended he became exposed to the truth about the pervasiveness of human trafficking and decided to use his gifts to help build awareness of it here at home. His original play, CRY, is running for three performances May 20 (8 pm) and 21(2 pm and 8 pm) at Keyano Theatre. Gordan and his many volunteer performers (actors and musicians) deserve an audience. 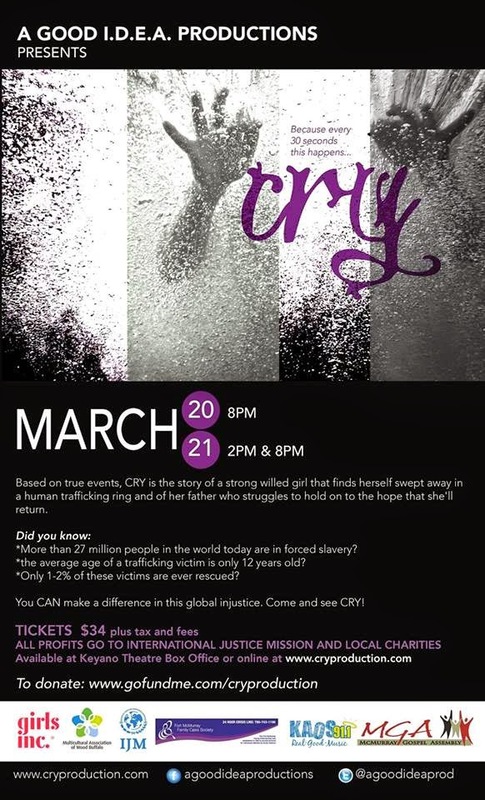 There are many reasons to attend a performance of CRY - we are going to make it a family outing - but four compelling facts featured on the the show poster drive home the impetus for doing the production and the reason why this is an important awareness building experience that shouldn't be missed. There's another one. Maybe it's someone in your own neighbourhood. 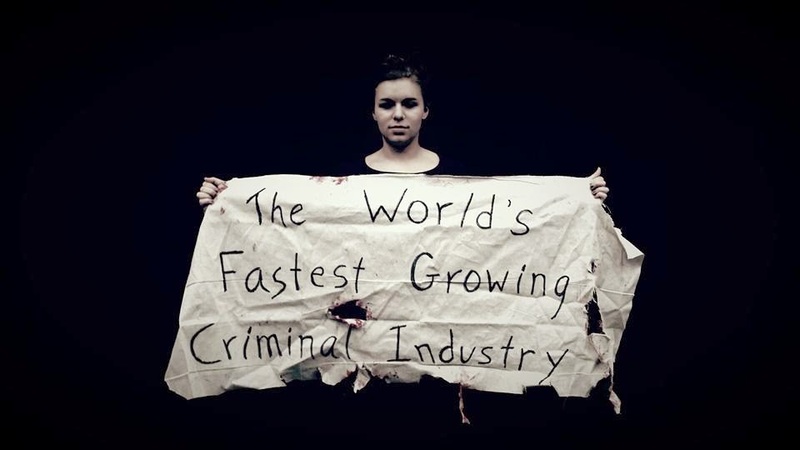 Sadly, that statement is not far from the truth. 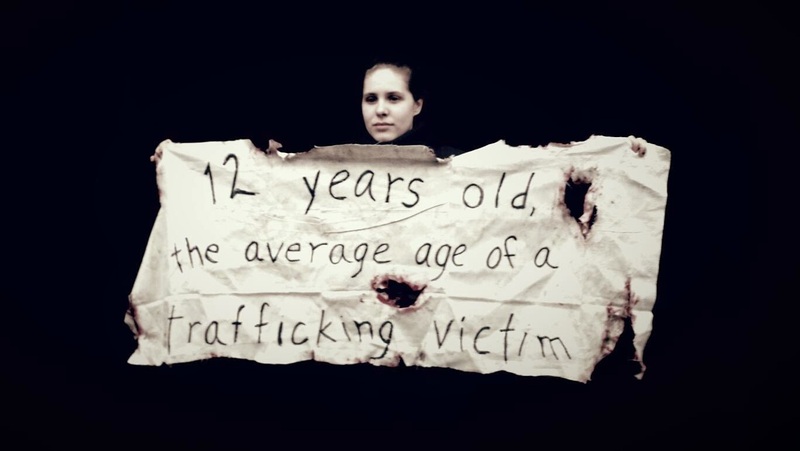 Human trafficking is closer than what you might think. As a former arts publicist, I am enjoying watching Gordan and his team doing all the right things for all the right reasons. They have developed a compelling brand for the show. They are engaging the media. 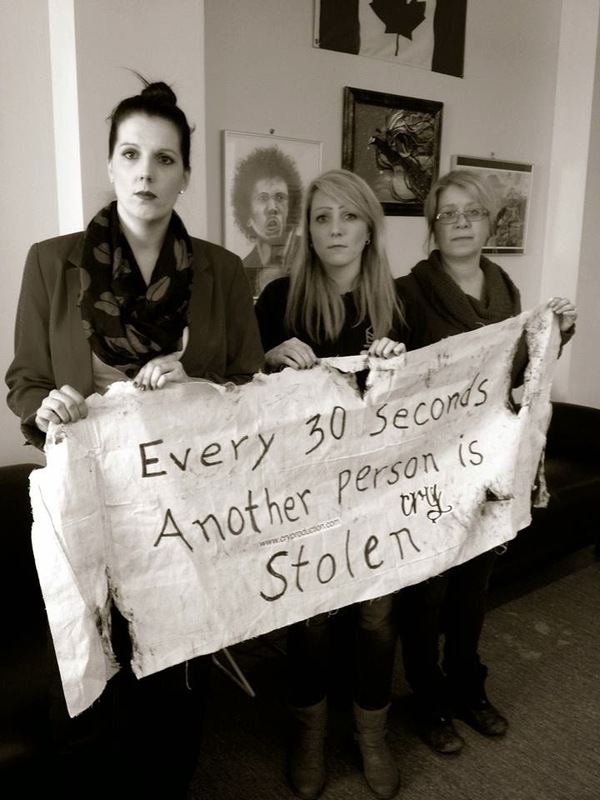 They have even begun a social media campaign, having people in the community show their support for the project by holding up banners with salient facts about human trafficking. In a perfect world, they will earn enough money from their GOFUNDME campaign and ticket sales that they'll be able to turn over the profits to international justice missions and local charities that are doing vital work in this area. 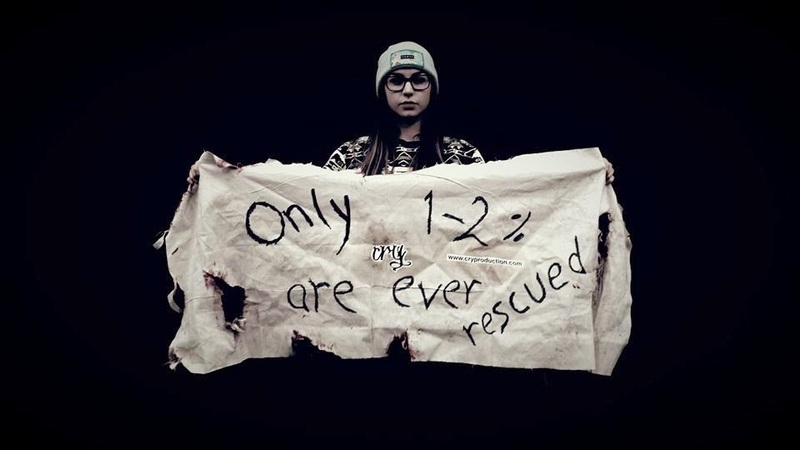 At the very least, they will have sparked a dialogue about the proliferation of human trafficking and its reach into communities around the world, including Fort McMurray. To find out more visit www.cryproduction.com. To take action and donate to the project, visit: www.gofundme.com/cryproduction. 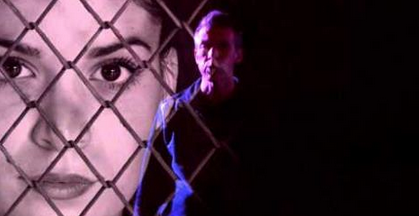 To get some valuable insights about the realities of human trafficking, see the show.